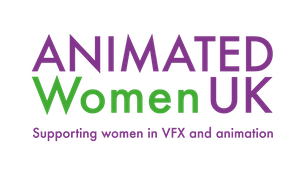 Founded in 2013, AWUK exists to positively support, represent, celebrate and encourage women in the animation and VFX industries in the UK. We aim to change the gender landscape by building a vibrant network that facilitates mentoring, knowledge exchange and education resulting in women in fulfilling their potential. We welcome members from all disciplines of Animation and VFX including, but not limited to: writing, storyboarding, concept art, production, 2D, 3D, stop motion, environments, design, HR, Finance, Marketing, IT, project management and R&D. Membership is £30 per year and gives you access to networking and workshop events, exclusive discounts and, most importantly, a network of over 1,000 women across the UK. If you are interested in brining Animated Women UK to your region, please contact us to find out what's involved. 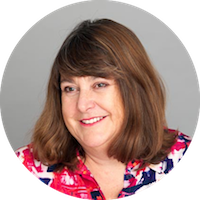 With 30 years’ experience of working with individuals and companies in many areas of the creative sector, and with a particular interest in film and television, Val has a detailed understanding of the issues her media clients face and always takes a hands on, practical and proactive approach. 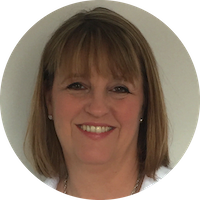 Val works with a range of creative businesses, including AIM-listed companies, SMEs, groups of companies and individuals. She offers advice that is tailored to each client’s specific need and her media experience includes clients in brand design, advertising, events management, production and special effects, internet and technology, PR, radio as well as film and TV. She is also a board member and treasurer of Women in Film and TV .In her free time, travel is Val’s passion, which she indulges as often as possible. Lucy began her career at Scottish Television before a move to London and the world of post production. 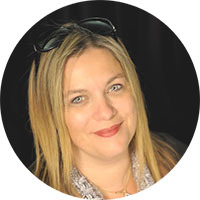 Her 20 years of experience spans a variety of creative companies across broadcast, film and television post production and physical special effects. In 2008, she joined VFX software vendor The Foundry, where she spent 8 years as a key member of the team that grew the company from 30 passionate people and £4.6M turnover into a 330+ strong company with a valuation of £200M. Lucy's passion to engage with the issues facing women in the industry was ignited when she attended Cranfield School of Management’s ‘Women as Leaders’ course, which provided real insight into the realities facing women and challenged attendees to play an active role in instigating change. Now Managing Director at Union VFX, Lucy leads a great team of Marketing volunteers at AWUK. With a very eclectic career in the television and film industry Anna has found her niche in animation. Anna has been a freelance editor, sound designer, camera operator and director. She has had the opportunity of working with directors such as Stanley Kubrick and Sidney Lumet. Principal areas of activity have been TV, including dramas, comedy and documentaries. Anna has concentrated on wild life documentaries, travelling extensively filming gorillas, Livingston fruit bats, great whites and whale sharks. She has a BAFTA nomination for her work on Beyond The Clouds, a seven part series for Channel 4. 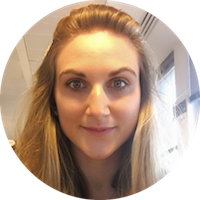 As a keen advocate in promoting women in technical positions Anna is an active BFI academy mentor. She is delighted to be involved with the setup of Animated Women UK and is looking to forward to a new venture concerning South American animation. 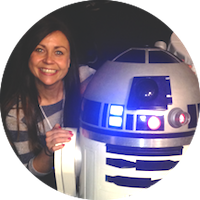 Louise is an Executive VFX Producer at ILM. She began her career in TV Post and then into CG Animation. This led to Rushes where she was a VFX Producer for the Film & TV VFX department and in 2013, moved to Double Negative as part of the Senior team that set up the DNEGTV VFX division. She was Executive Producer for the VFX teams on the BAFTA award winning 'Metalhead' and Emmy Nominated 'Altered Carbon' and left in June 2018 to move to ILM. Over the years, a desire to help develop new talent led Louise to the Creative Skillset Animation Council, and she is now on the BAFTA Learning and New Talent Committee, which supports new talent and education initiatives. 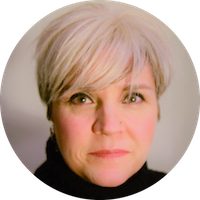 Rosemary is a dual qualified English and Canadian lawyer who has worked both in-house and in private practice since 1990 advising various media companies on production, distribution, exploitation and protection issues. She has developed a specialty in structuring and advising on international treaty coproductions. Previous to her life in the law she was a stage manager and company manager at the Stratford Festival and various regional theatre companies in Canada. 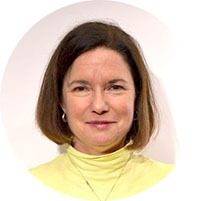 Rosemary is the Director of Television at London's Industry Media Business Affairs consultancy where she advises independent television producers and creators and distributors of all genres of content on their production and media exploitation issues and contracts. Having kick-started her TV career in Munich, Germany, Beth returned to London in 2001 and went straight to work at Telemagination with executive producer Marion Edwards. Taking over as managing director when Marion left, Beth continued at Telemagination while taking on the role of head of production at TV Loonland and simultaneously studying for a Masters degree in Social Policy and Criminology. 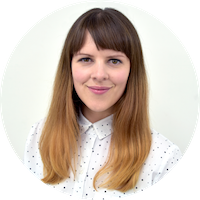 That led her to take a break from TV and work for a major youth charity for three years, before taking on consultancy work for both charities and animation companies including Hibbert Ralph and Red Kite Animation. In the summer of 2014 Beth joined Disney to look after the production of animated series for the Disney Channel network in Europe, Middle East and Africa (EMEA). She manages animation productions for Disney Junior, Disney Channel and Disney XD, from pre-school to ‘tween’. Just before taking over the animation chair role at AWUK she completed her second Masters degree, this time in Music. Music is what mostly fills her spare time, along with reading, yoga and gardening. Helen Piercy is a multidisciplinary filmmaker, award winning children’s author and professional educator. 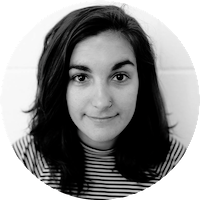 With degrees in Graphic Design (BA Hons) and Animation Direction (MA-The National Film and Television School) Helen began her career working as a freelance animator in London before launching her own business as a filmmaking educator in 2012. 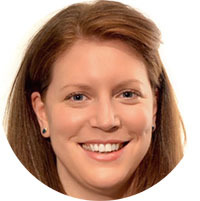 Debra Wootton founded Webra Multimedia Ltd in 2007 whilst at University, establishing the business at Pinewood Studios in 2008 going on to graduate as a digital animation specialist in 2009 when she was then invited to sit on the board on Alumni for UWL in January 2010. As well as her philanthropic activities Debra has also gone on to built up a portfolio of businesses; joining Terry Ackland-snow at FDI (Art Direction Training) in 2009 and establishing Webra as a group with Webra Productions, Webra Training and Webra Events joining Webra Multimedia Ltd in 2013. Born in Barcelona, Xenia's journey in the industry has been rather diverse. Before her current position at Dneg as a Production Coordinator, she worked in live action as an electrician, assisted stop-motion and VFX productions and taught in HE courses at Arts University Bournemouth. She studied Film Production, majoring in cinematography and still today, she enjoys having a camera in her hand and capturing the world around her. Xenia is a very passionate individual that enjoys being part of exciting projects and also does not know how to stand still. She has always felt very strongly in regards equality and promoting women as makers in creative and technical industries. She believes AWUK has the power to bring women together in Animation and VFX and the conversation for a more diverse and fair future. Micaela is an Animation Producer with a wealth of experience in pre-school projects. She worked as a Production Manager on International Emmy Award winning Mike the Knight, before moving up the ranks to her current role as Producer on Thomas & Friends. She is also a qualified ski instructor and is happiest when in the mountains. Lindsay is a Canadian/British animation producer whose company CANUK Productions focuses on development of IP and co-production of animated children’s series.Lindsay launched Animated Women UK in 2013. 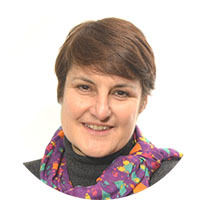 In January 2019, after 6 years of service, Lindsay stepped down from the board of AWUK. Her drive and passion persuaded the board to get behind the cause and together we have created a vibrant organisation that encourages, promotes, supports and represents women in the UK’s Animation and VFX industries. Lindsay remains a strong and passionate advocate for diversity and equality and will continue to provide support to AWUK initiatives.